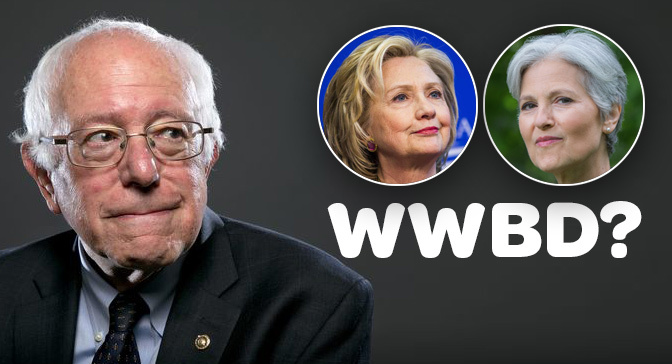 Now that it’s almost inevitable Hillary Clinton will win the Democratic nomination, the talk is turning to what will come out of Bernie Sanders’ campaign after the Democratic National Convention. The post-nomination Sanders movement will face its first test — or opportunity, if you prefer — in September. Will Mr. Sanders and his supporters demand a place for the Green Party nominee in the fall presidential debates? Or will they look the other way while ideas they claim to support are silenced and only the Democratic and Republican nominees are allowed to participate? The Green nominee will argue for many of the same things that Mr. Sanders has advocated, from Medicare For All to dismantling the power of the too-big-to-fail banks. The Green will go further than Mr. Sanders, calling for an end to endless war, a halt to deployment of civilian-killing drones, withholding of support for Israel’s brutal suppression of Palestinian rights, and drastic cuts in military spending. It’s essential that the ideas behind the political revolution remain in front of the public after the conventions. The debates are organized by the Commission on Presidential Debates (CPD), which is controlled by the two establishment parties and their corporate underwriters. The CPD took over the presidential debates from the League of Women Voters in 1988 deliberately to bar independent and alternative-party candidates and to ensure a format that poses few challenges to the D and R nominees and doesn’t offend the sponsors. (See George Farah’s book “No Debate: How the Republican and Democratic Parties Secretly Control the Presidential Debates”). If limited to Clinton vs. Trump, the debates can pretend that the political revolution doesn’t exist and the Sanders campaign never happened. Will the post-nomination Sanders movement decide that helping Ms. Clinton defeat the dreaded Donald should take precedent over an airing of the demand for Medicare For All and other objectives? No movement can be taken seriously if it tolerates the censorship of its own agenda in the most widely watched forums of the election year. Fair and democratic debates would admit any candidate whose name is on the ballot line in enough states to win. In 2012, the Green Party’s Jill Stein and Libertarian Gary Johnson should have qualified. In 2016, two legal actions filed against the CPD, the Level the Playing Field and Our America Initiative law suits, may bring inclusive debates closer to reality. The challenge I pose here raises a broader question: Will the political revolution be independent or a subsidiary of the Democratic Party? We’ve seen the effects of recuperation over and over in recent years: the Working Families Party, posing as an alternative but serving as a front for Dems in fusion-state New York; Occupy Democrats and 99% Spring emerging after Occupy Wall Street campers folded up their tents; the near-demise of the peace movement of the last decade, after faux-antiwar President Obama’s victory in 2008. To their credit, some movements have resisted recuperation, including Black Lives Matter and local remnants of Occupy. If the post-nomination Sanders movement is unable to declare independence from the Democratic Party, recuperation will turn it into a warmed-over version of MoveOn. We know that the Democratic Party leadership is bent on defusing the Sanders insurgency. The Democratic National Committee has already rigged the Philadelphia convention to curb his influence. It wasn’t enough just to rig the nomination against him, through the party’s superdelegate system. Ms. Wasserman Schultz and the DNC aren’t obtuse. They’re assuming what they assume every election year, that the Democratic Party can always take progressive support for granted — that working people, those concerned about the health of the planet or enraged by gross racial disparities in the justice system, and others hoping for a better world have nowhere else to go. Will Sanders supporters like Robert Reich prove them correct again in 2016? I hope the Sanders movement comes to a different conclusion and recognizes that we can no longer afford a paradigm limited to the two establishment parties. The D and R parties are incapable of handling the emergencies of the 21st century: an impending climate catastrophe, encroaching corporate oligarchy, the shredding of economic rights and security for working people and the safety net for the poor, mass incarceration, endless war. Both parties, despite their differences, are on the wrong side of these crises. It’s not enough to declare “We’ll put pressure on the Democrats from within.” The Democratic Party’s aggressive marginalization of progressives, evident in the defeat of the Sanders campaign in a fixed nomination process, tells us that it’s beyond rehabilitation. To the extent that progressives have acquiesced, they’ve made themselves complicit in the country’s bipartisan slide to the right. There’s nothing revolutionary about a movement that retreats into an endorsement of the lesser of two evils. Regardless of her modestly populist primary-season rhetoric, Hillary Clinton will snap back to the center-right after her nomination and even further to the right after Inauguration Day. She has already scolded those who hope for enactment of Medicare For All (despite majority support) and restoration of the Glass-Steagall Act. Like President Obama, Ms. Clinton will stack her administration with Wall Street operatives and revolving-door experts. Prominent Dems are pressing Bernie Sanders to exit the race, warning that his presence has delayed Ms. Clinton’s ability to “pivot” (i.e., to the right) for the general election. They expect Mr. Sanders’ supporters to pivot too. The biggest legacy of the Sanders campaign should be that its defeat killed illusions that we can ever expect a political revolution, or any substantial change, to come out of the Democratic Party. The U.S. is heading in a dangerous direction whether we elect Ds or Rs. Changing that direction requires altering a political landscape that’s effectively limited to the Post-Hope Party and the Post-Sanity Party. The political revolution inspired by Bernie Sanders must continue outside of the two parties of war and Wall Street or it won’t continue at all. 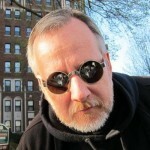 Scott McLarty is media coordinator for the Green Party of the United States. He lives in Washington, D.C.